The weather is heating up and the entertaining season is back again. 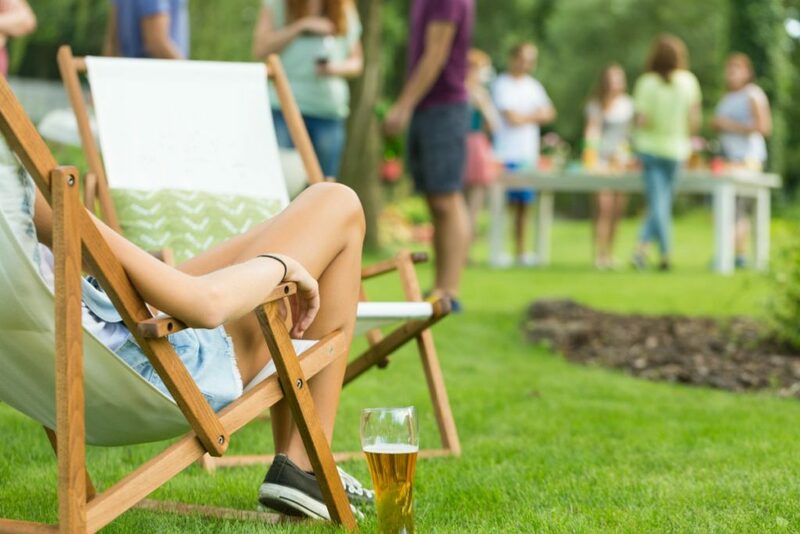 Use these 10 Tips for Throwing a Great Outdoor Party in Summer (& Spring) for a stress-free get-together. I don’t know about you, but I’m so ready for the rigid structure of school to be gone. For the long days of summer to be upon us, where there’s only the schedule we give ourselves. I’m probably most excited to sleep in, but I digress. 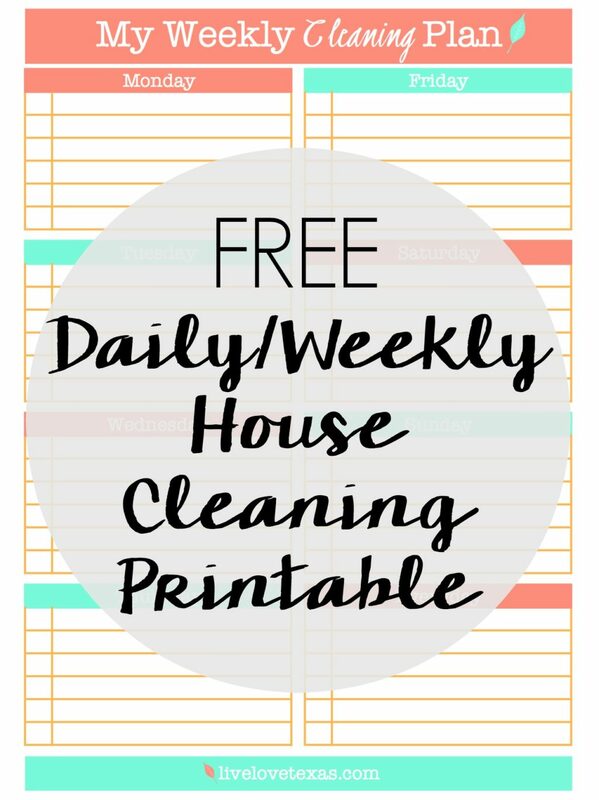 As we move from spring to summer one thing is for sure, our calendar is filling up a whole lot quicker and we’re spending more time outside as a family. 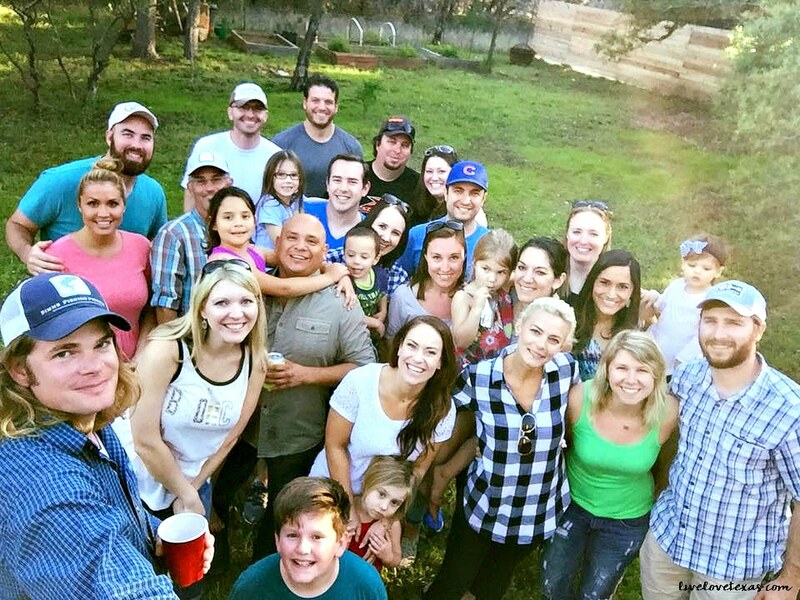 As we get ready for longer days, even more, socializing than we do the rest of the year, I wanted to share with you 10 tips for throwing a great outdoor party in summer to get you ready for a good time in a hurry! 1. Send invites out early. As the weather heats up, people’s calendars fill up too. Even in spring when the kids are still in school, there’s a lot going on but by summer people are traveling with kids and what should be slower than the school year often ends up even busier. Make sure to give people a heads up you’re having at least 2 weeks in advance, but in summer you really can’t plan too far ahead. Creating a Facebook event or using a free email template on Evite are super easy ways to manage your guest list and for guests to communicate with you and each other. 2. Let guests know what to bring. Are you providing all food and drinks for the event? If you’re having a larger event or something that can get pricey quickly like a crawfish boil, ask guests to bring a side, dessert, or some drinks to share. Guests are usually more than happy to help contribute to a larger party and can bring the foods they like to eat and that fit their budget. 3. Have backup plans in case of weather. It’s not easy to reschedule a party and bad weather is an easy excuse for people to get off the hook from attending. Don’t let them! Make sure they know you have canopies, tents, or other covered areas in case of rain. And if for some chance a freak cold front moves in, tell them to bundle up and have outdoor heaters or a fire pit ready. Mow the grass, pick up any pet waste, and treat for ants. No one wants to find a snake or other unpleasant surprise in the grass. 5. Get rid of the mosquitoes. 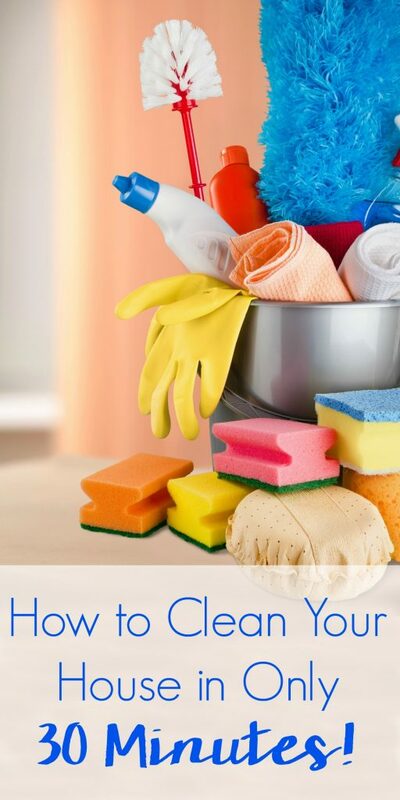 One of the best tips for throwing a great party in summer and spring is letting the professionals at our sponsor, Mosquito Authority, get rid of the mosquitoes for you. We live on a little over half an acre in Austin and tried out Mosquito Authority for the first time before our last party. It was amazing not having to worry about mosquito bites or applying bug spray. And our guests seemed to enjoy it too. I’m looking forward to more time outside this summer than ever before thanks to Mosquito Authority. And if for some reason a mosquito does land in your yard, Mosquito Authority will come back and spray again for free. Plus, you don’t have to worry about contracts or commitments. 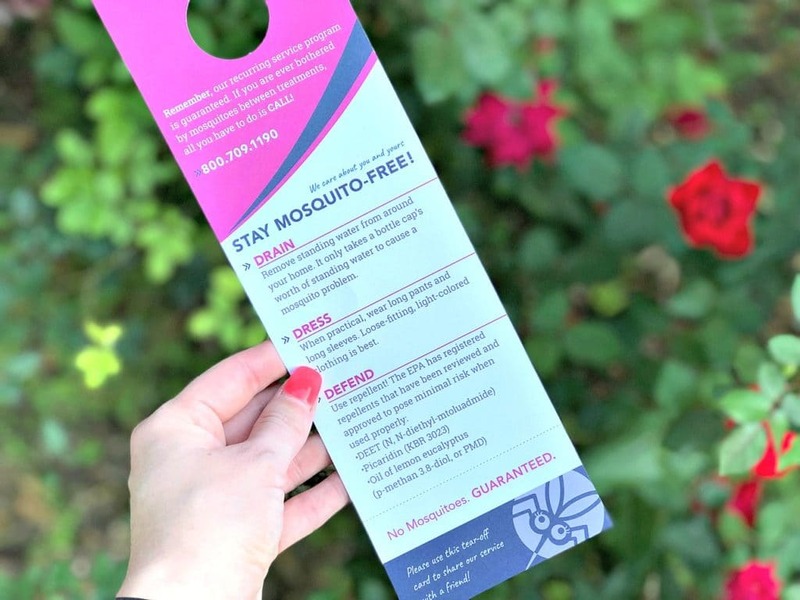 Although once you see what summer in Austin is like without mosquitoes, I’m pretty sure you’re going to be so spoiled you’ll never want to imagine life without Mosquito Authority again! No one wants to worry about annoying bites, West Nile, or the Zika Virus. So you could do what people have done for years and apply sticky, mosquito repellent or light citronella And with kids running around, you don’t want them tripping over citronella torches or little ones getting near a candle. Unless you do a lot of entertaining, you may not have enough seating for all of your guests. Be creative with solutions from bringing barstools outside to asking guests to bring camping chairs or spray painting old patio furniture so everyone has a place to sit and hang out. Set up fans to keep the air moving, use umbrellas or tents to provide shade, and cool things off with misters or in the pool. 8. Set the mood with great music. Silence during a party can be awkward. Turn the music on before the guests arrive and set the volume at a level where it sets the mood but guests can still talk. A playlist with a mix of the classics as well as more current songs will give guests a nice variety of familiar music. I’m a big fan of the “Have a Great Day” playlist on Spotify. You can also add to the ambiance with some summer outdoor lighting. 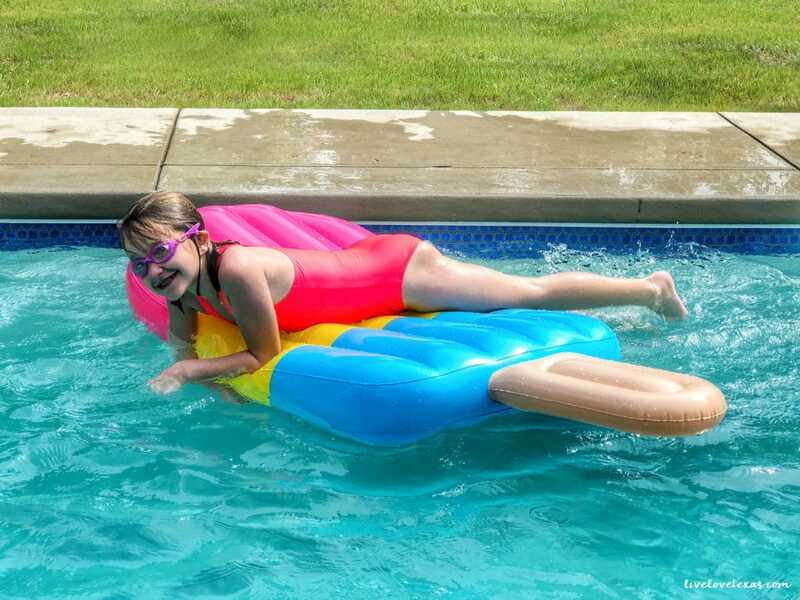 Water is a great way to keep kids entertained in summer and spring. A slip-n-slide, water guns, or water balloons will all help keep the kids cooled off and having fun. If all else fails, make homemade bubbles to keep their attention! 10. If you have a pool, set rules. Make sure everyone know the rules for being in the pool like no running or holding people under. You’ll also need to make sure you have a place for people to change in/out of swimsuits. Letting guests know ahead of time that the pool is open will give them the opportunity to be prepared for the day with everything you need. You could also ask the guests bringing kids to chip in so you can hire a lifeguard for peace of mind. Or, if you don’t want the hassle or liability, make sure guests know that the pool is closed for the party. Are you in Austin and ready to get your house treated so you can enjoy a mosquito-free summer? 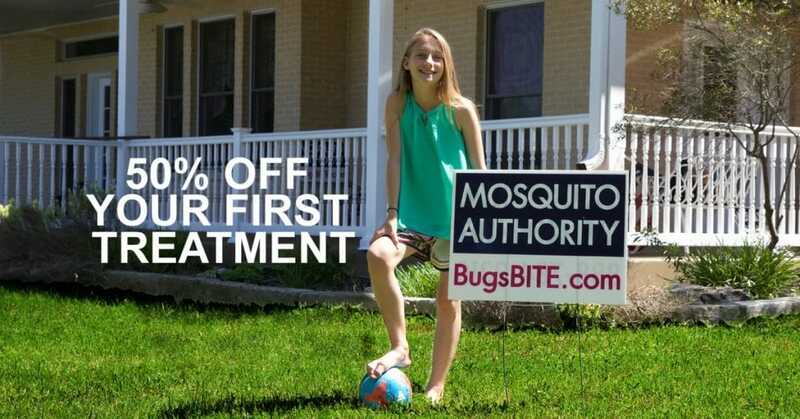 Check out Mosquito Authority and get 50% off your first service for new customers! Do you have any other tips for throwing a great outdoor party in summer? Let’s continue the conversation on Facebook! 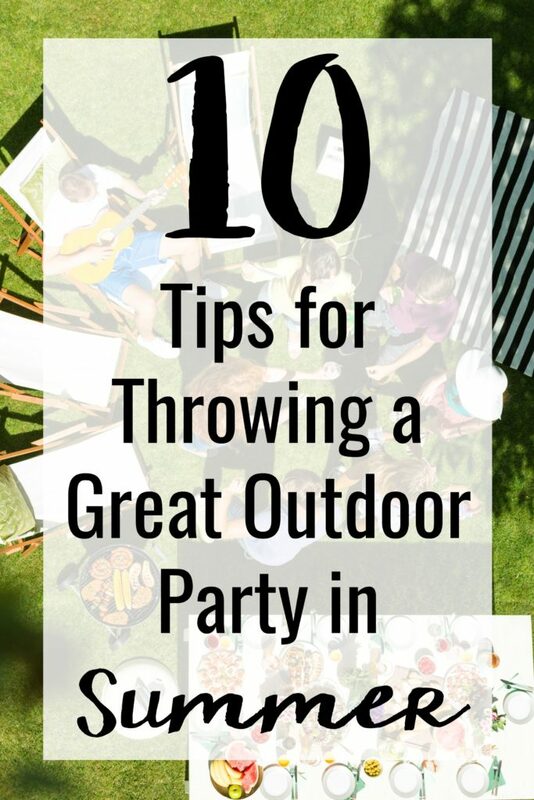 If you liked these tips for throwing a great outdoor party in summer, you might also enjoy these other posts.